We are stewards of a historic cemetery which honors the memory of ancestors to our members and many others throughout the United States and world. 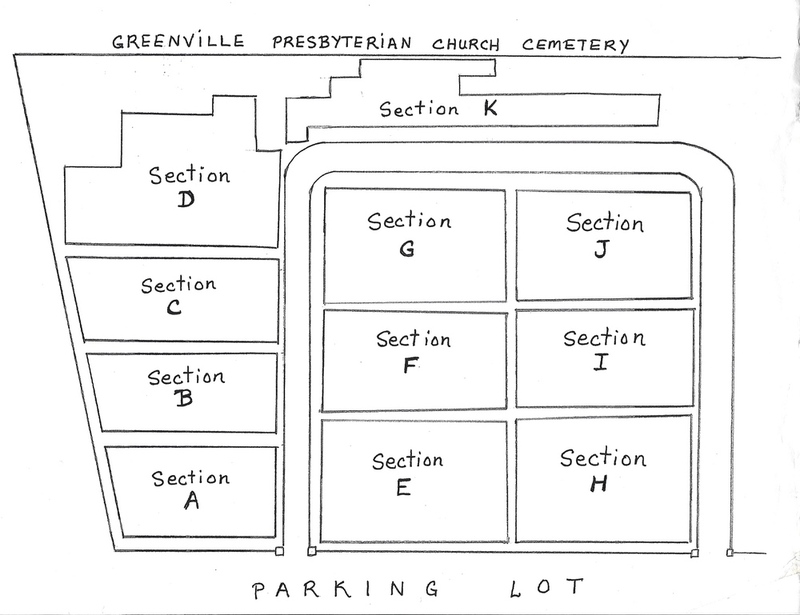 In an effort to connect those who are seeking genealogical data or doing historical research we offer our current information regarding the cemetery below. Both the spreadsheets and PDF files are searchable by name. After locating someone on the lists, use the alphanumeric lot number to find them on the maps (sections are A - K). The information contained in the cemetery section of our website was compiled from many sources. These sources include information from individuals, church records, Boonesborough records, census records, Ancestry.com, death and birth certificates, and other records that were available. The compilation of this information has been a six-year project that we hope will continue in the future. The information recorded here is as accurate as our sources and our volunteer labor allow. We greatly appreciate help in locating errors so if you find any please contact us using the contact form and put “Cemetery Committee” in the subject line of your message. We hope to update the material at least yearly. If you would like to provide additional information about your family member(s), feel free to send it to us using the contact form or by getting in touch with us by other means. The perpetual care and maintenance of the cemetery and data related to it are completely funded by memorial gifts and donations. These memorials and donations can be sent to the Greenville Presbyterian Church Cemetery fund will be greatly welcomed and appreciated.